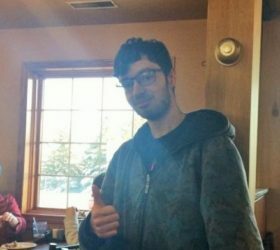 On Monday, Feb. 26, Pizza Ranch in Madison allowed DSU’s Esports Club to receive a portion of their sales as donations. Donations gained from the fundraiser will aid DSU-Esports Club in a variety of ways, including the ability to host more local tournaments and go towards traveling expenses for members competing in out of state tournaments. The President of DSU-Esports Club, Dominic Sharma, planned the event and was pleased with the turnout for fundraising. In the three hours the event lasted, over 60 people showed up. Although the donations are still being tallied by Pizza Ranch, there’s a good chance the Esports Club reached and possibly surpassed their goal of $200. DSU-Esports Club competes in multiple different games including: Counter Strike, Heroes of the Storm, Smite, and Hearthstone. They also contribute to Wednesday Fight Night, which occurs every Wednesday in the Einstein’s lobby, featuring a variety of fighting video games and friendly competition.